Friday afternoon, the Washington State Cougars will take on the Stanford Cardinal. The Washington State Cougars won their 2nd straight game on December 28th after they defeated the UC Davis Aggies 90 - 83. The Cougars took the early advantage and by halftime, Washington State was up 46 - 32. The Cougars continued to lead in the 2nd half but they were fortunate that their poor defensive effort and numerous turnovers didn't hurt them. Washington State shot 54% overall and 57% from beyond the arc as they were led by DaVonte Lacy's 22 points. Washington State had 4 played in double digits and if they can keep up the scoring as they cut down on the turnovers, they could put together some wins. 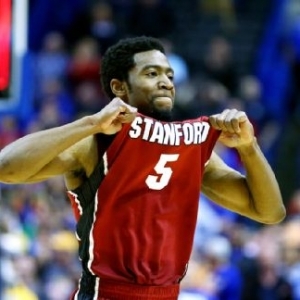 The Stanford Cardinal made it 2 in a row on Monday after they ran over the Arkansas-Pine Bluff Golden Lions 74 - 39. The Golden Lions were out of it early after the Cardinal opened things up with a 19 - 1 run. By halftime, Stanford was up 45 -14 and the rout was on. Stanford maintained their 20 plus point advantage for the rest of the way. The Cardinal shot 51% overall and 64% from the distance as they were led by Anthony Brown's 16 point effort. If Stanford continues to play like that as Pac-12 play opens, the rest of the conference will have some trouble on their hands.